Slippery Slopes Farm, the concept, was born in January of 2015. We originally bought 12 acres in Sadieville the previous summer to use “recreationally,” but what started as a place to play with our growing family quickly snowballed into starting our own little farm – a business. Hence, a slippery slope, figuratively. 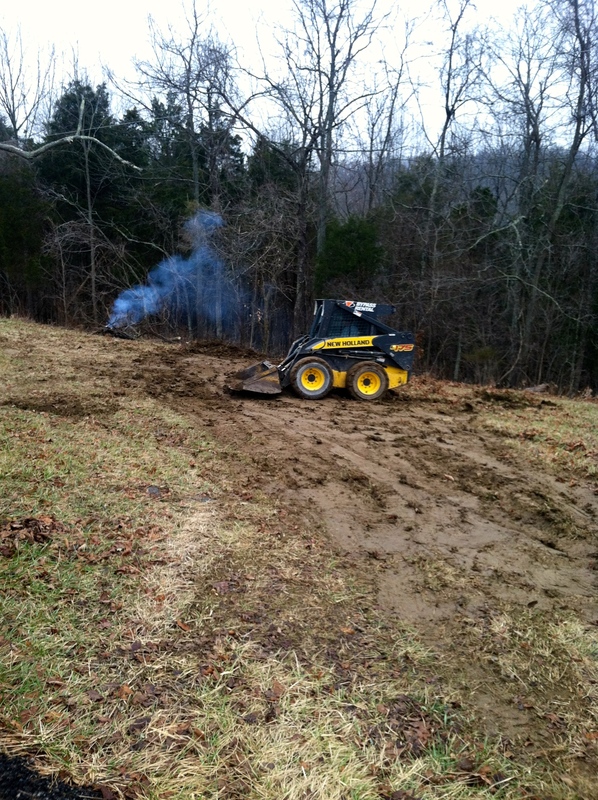 In January, we decided we needed better access to the valley at the bottom of the hill so we rented a bobcat and decided we could “cut” a driveway ourselves. We slid it down the hill and got stuck. We slid it down the hill and got it stuck. 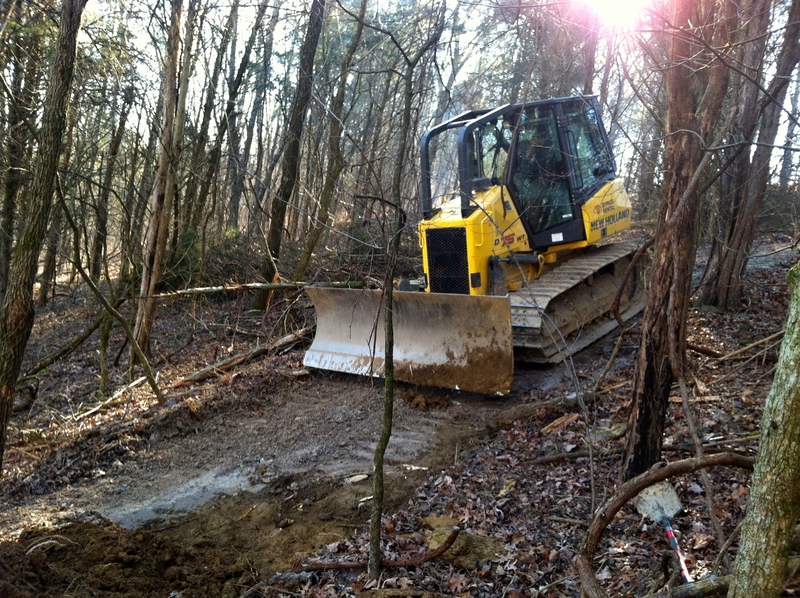 Good thing the dozer was still around to pull us out! 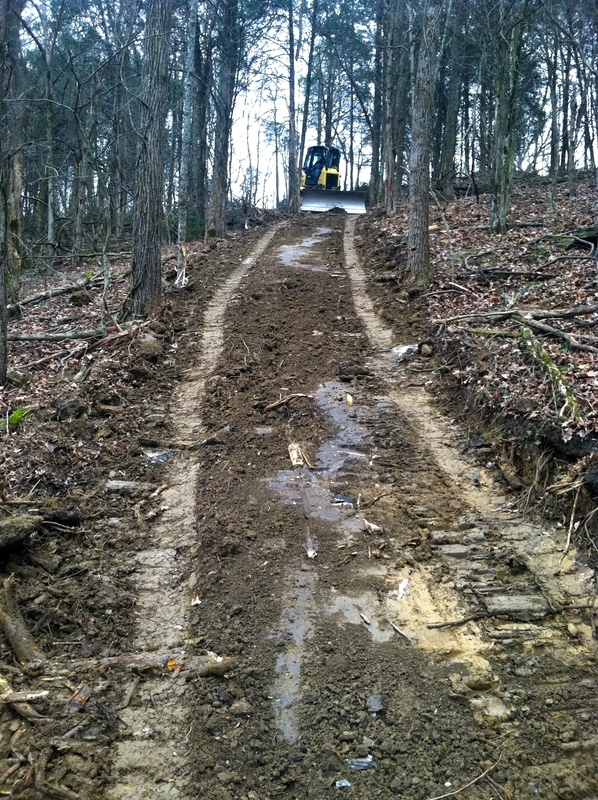 As we continue to battle our hill, “Slippery Slopes” has also became a literal definition of our journey to farm-dom.